Verrado is a master-planned community in Buckeye, Arizona near the White Tank Mountain Regional and Skyline Regional parks. This beautiful community has a busy Main Street District, and the city has over 70 neighborhood parks with neighborhoods designed so that you are never more than two blocks from a park. Verrado also features the 55+ community at Victory, with a variety of new homes. The focus on this adult community is to maintain an active lifestyle through the many miles of hiking paths and trails, the clubhouse, golf course, vineyard and other amenities. This unique part of Verrado is drawing more and more people into its active lifestyle offerings. The Verrado Main Street district offers walkable shops and restaurants that are not far from your front door. Outdoor offerings include a swim park, the many neighborhood parks, and many backcountry trails for hikers. There are more than 21 miles of hiking and biking trails, giving people of all ages opportunity for outside exercise. Verrado also offers two championship golf courses. The Founders Course is an 18-hole oasis with beautiful views and challenging play to inspire a golfer as the course winds through the foothills of White Tank. The Victory Course is Verrado Golf Clubs newest public course. It moves through granite bluffs offering a unique golfing experience. Golfers from all over come to Verrado to experience the desert landscape and to take part in premier tournaments and outings. 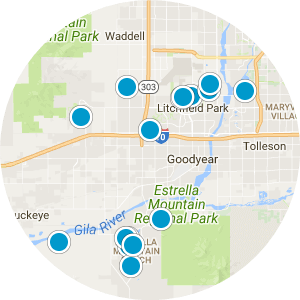 The Verrado neighborhood parks make multiple recreational activities available to residents, drawing neighbors together and encouraging kids to spend time outdoors. 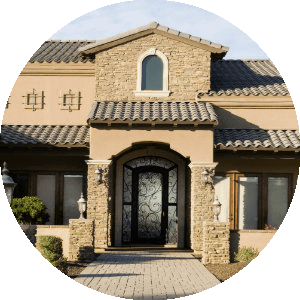 Verrado real estate includes ranch style homes and multi-level Tuscan style homes. The homes have from three to six bedrooms and feature attached garages and front porches. The streets are tree-lined, creating beautiful neighborhoods full of great parks. The students are served by five high-performance schools. 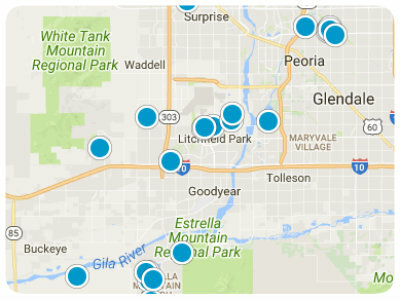 The amazing White Tank Mountain views, the great outdoor experiences, the shopping and dining in the downtown district, all come together to make this a must consider destination for homebuyers searching in the Phoenix area. 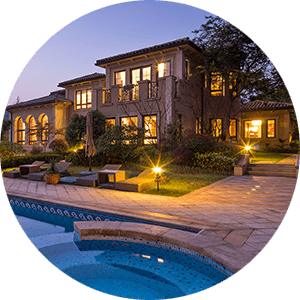 If you would like more information regarding homes for sale in Verrado, Buckeye, Arizona, please contact us today and allow us to assist you.